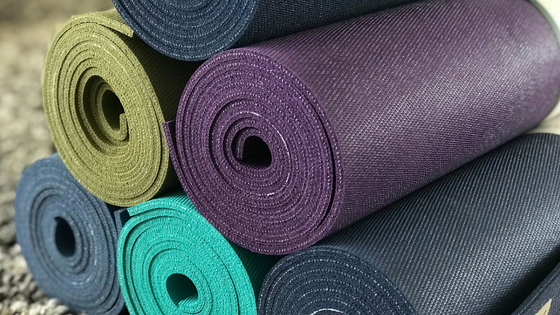 Entertaining the thought of committing to your practice and investing in your own yoga mat? Trust us, you will never look back after you have your very own space to practice on! We have had many mats over the years, from the most basic version through to the best (in our opinion!) money can buy and have discovered there is something quite special to having your own mat. Some days, practice looks like rolling out your mat and lying in butterfly pose for twenty minutes. Or just standing in tadasana and seeing what happens. That simple act of gently unrolling the mat, stepping on to that space and breathing is the spark we need to move into our practice. 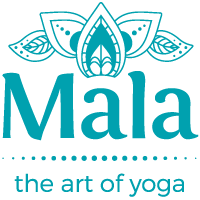 We develop a special connection with ourself and our practice by having something that is just for our yoga. Stepping into that positive energy, the mat represents truly committing to ourself and wellbeing. Yoga happens everywhere. At home, on the plane, in the park. Hotel room, on the beach, in the studio. Having your own mat allows you the opportunity to practice whenever, wherever. We move, we sweat, we laugh, we cry on our mats. It’s all a part of your practice. So it’s comforting to know when you nestle into child’s pose, forehead on the mat, that you are connecting with you. Your efforts, your energy, your scent. The mats that we personally use are JadeYoga mats. JadeYoga mats are made in the USA and appeal to us on so many levels. Firstly, they are eco-friendly – made from natural rubber, a renewable, sustainable resource. This means the contain no PVC or synthetic rubbers and are 99% latex free. Secondly, every time someone buys a mat, JadeYoga will plant a tree! In collaboration with Trees for the Future and the receiving community, our purchase helps to provide environmentally and economically sustainable projects. So far, the warm and fuzzy box is definitely ticked 😊 But what about performance? JadeYoga mats are the only ones we’ve practiced on that pass the “slip test” – those moments in class when your heart is beating strong, you’re hot, sweaty palms and moving in to (what feels like the fiftieth!) downward dog. The natural rubber helps your hands and feet to stay put, safe, secure and comfortable. And they are durable! When you know your mat will last you 5, or even 10 years, supporting you through a daily practice, you know you have made the right investment. Want to try before you buy? We have JadeYoga mats available for you to trial at the studio. You are welcome to use these during class or come down during our studio open hours for a test stretch. So, what are you waiting for? We have JadeYoga mats in stock in a range of beautiful colours so you can personalise your practice. Visit our website to put your name on one today.